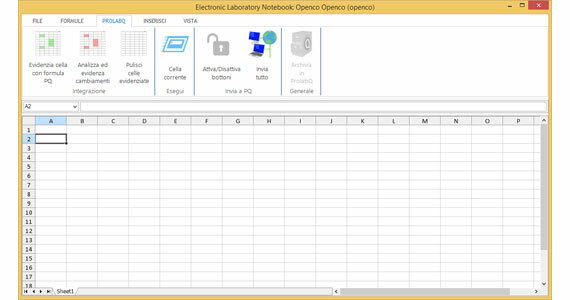 ELN (Electronic Laboratory Notebook) by Open-Co is a software developed in order to replace the use of paper laboratory notebook. It allows to store and share texts, images, graphs (and other data types) and keep track of historical information on projects and researches. The ELN is becoming more and more important inside laboratories, especially in Research & Development environments, as it perfectly fits the concept of paperless-lab, popular in different professional realities. ELN combines the practicality of a paper notebook with all the advantages of digital technology. Even if it can be used independently from Prolab.Q, the ELN’s strong point is the synergy it has with Prolab.Q that allows to exploit of all its advantages. It communicates in both directions (reading/writing) with all the basic entities of Prolab.Q (samples, activities, controls, etc.). ELN is the module designed for the management of unstructured data. ELN is able to manage images, notes, calculations, tables, graphs and results in an “Excel-like” – and thus very intuitive – way. 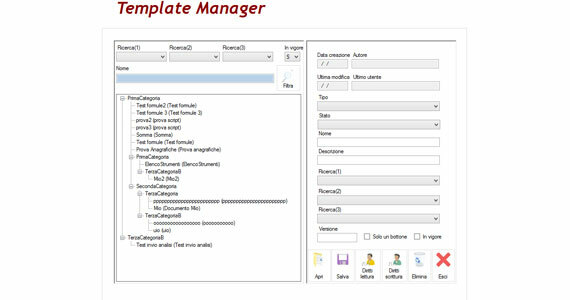 The user friendly design of this tool can be appreciated most of all in the possibility to version history all information and result sets, with a single click. This allows to browse all the previous version of each template in a unique way. 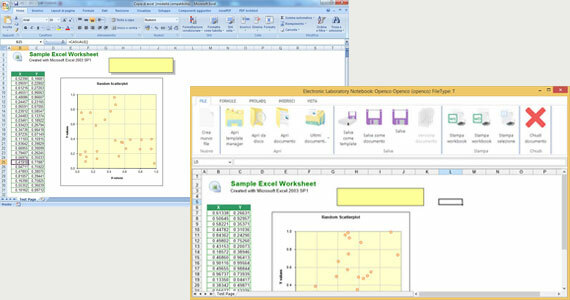 ELN by Open-Co is designed to be integrated with Prolab.Q LIMS, working in very close contact with the main software. The systems coexist on the same database allowing total sharing of informations and the possibility for ELN to be included in any flow implemented inside the LIMS. ELN by Open-Co keeps track of all actions performed, of the results, formulas and graphs used (inputed by the laboratory instrumentation or by Prolab.Q). The system tracks and records methods, analysis and results with the possibility to find any kind of information in a quick and easy way. ELN by Open-Co ensures total safety in the management and recording of data, because it decreases the risk of errors caused by manual data management performed on paper. Furthermore, ELN allows to manage in a reliable way user authorizations and the traceability of performed actions. ELN by Open-Co is a system that allows to read and elaborate structured or unstructured data in a very flexible way. Data can be freely managed with no need to adjust to a pre-set software. 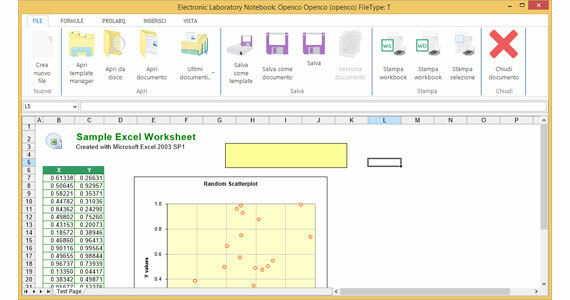 ELN by Open-Co is easily integrated with the laboratory workflow, allowing the possibility to import and use already existing Excel files. The files that are daily used in the laboratory are ready to be used in the ELN and therefore they can be easily interfaced with Prolab.Q LIMS. ELN by Open-Co has been specifically designed for R&D environments, where there can be no confusion between ELN and LIMS. ELN is specifically dedicated to the management of unstructured data. Thanks to ELN, all R&D activities can be integrated into the LIMS software.